There was estimated to be 500-650 American deaths during the Bataan death march while there was estimated to be 5,000 to 18,000 Filipino deaths, according to Wikipedia. I can't wrap my head around why there is such a huge difference! Both Americans and Filipinos surely would have had their supplies taken from them, and so the amount of supplies would not account for this difference. Did the Japanese exercise more caution when hurting American POW's? 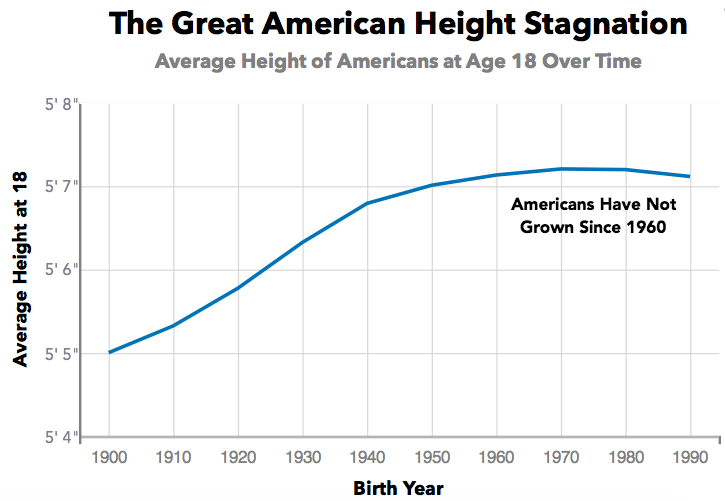 An American cohort that was largely men in the prime of their life (age 18-37) and who had already been vetted for serious medical issues prior to military service. It's quite clear from stories by the survivors of the Bataan Death March that the Japanese despised anyone that surrendered during WW2 and treated their prisoners accordingly. While I think it's fine to look for ancillary causes in the reported death rate discrepancy, to do so would be to chase down a tiny fraction of the answer - a % or two at most. One element is there were more Filipino than American troops. On April 9, 1942, the 12,000 American and 58,000 Filipino soldiers surrendered. At the time of surrender, about a third were sick or wounded, note historians Everett Rogers and Nancy Bartlit. The New Mexico National Guard Baatan Memorial Museum gives this breakdown. There were about 5 Filipino soldiers for every 1 American. But they died about 9 to 1. I can't explain the discrepancy, but it does narrow the gap. Question: Why where there so few American deaths on the Bataan Death March? Numbers vary greatly on the casualties during the march, but the best numbers I could find refute the premise of the question. A significantly higher percentage of the 10,000 Americans died on the march than the 67,000 philippine military. 5% vs 3.7%. The Japanese attack on the Philippines began with air raids on Dec 7th 1941, with the main invasion occurring Dec 22, 1941 when 43,000 men of the Imperial Japanese 14th Army went ashore at two points on the main Philippine island of Luzon. 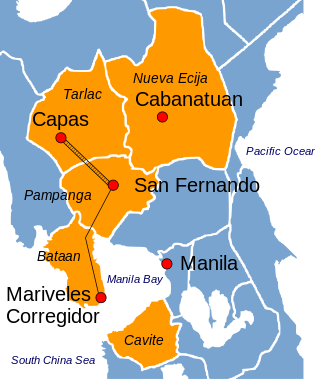 MacArthur and his defenders were overcome and were forced to conduct a planned retreat into the jungles of the Bataan Peninsula. When they withdrew the defending forces left most of their rations and supplies, and thus were forced to scrounge and forage once reaching Bataan. The battle for Bataan began Jan 1, 1942 and almost from the beginning the defending forces were on half rations. They held out for 99 days, until April 9th when General King the commander of all ground forces on Bataan surrendered. At the time it was a significant propaganda achievement, the men on Bataan holding out so long against the Japanese who up until that point had rolled across the Pacific. General King had battled the Japanese imperial army while on near starvation rations, with no air cover, and no naval support. When they surrendered many were sick from living in the jungle for three months without proper provisions. The first leg of the Bataan death march began April 9, 1942 in Marvels, on the southern tip of the Bataan Peninsula, and ended in San Fernando about sixty miles away. The POW's were then taken by rail farther north to Capas. From Capas they walked an additional 7 miles to Camp O'Donnel, a former Philippine army installation. For a total of about 66 miles marched over 10 days. There were 66,000 Philippine and 10,000 Americans POWs on the forced march. 29% (22,000) of the men who marched did not make it to the destination camp O'Donnel in the northern Philippines. Precise numbers are unknown but according Encyclopedia Britannica only about 3000 of those unaccounted for are believed to have died on the march. ( 500 (5%) Americans, 2500(3.7%) Philippines). Of the 54,000 men who eventually reached the destination at Camp O'Donnel 51% would die at Camp O'Donnel during the war. ( 26,000 Philipinos, 1,500 Americans ). Bataan Death March: How many marched and how many died? There are no official figures of the number of prisoners of war who endured the Bataan Death March, were killed along its route, or died during the subsequent three years of captivity at Camp O’Donnell and other sites. Further complicating matters, when the Philippines fell to the Japanese, an unknown number of American and Philipino troops refused surrender and escaped into the jungle. Some estimates, often based on accounts of veterans who claimed to have made the march, wildly inflated the death toll, suggesting that as many as 10,000 died during the 66-mile (106-km) ordeal. Such a total would have produced a road that was literally strewn with corpses, with new bodies appearing, on average, every 35 feet (11 metres). Of the roughly 66,000 members of the Filipino army and constabulary forces and 10,000 Americans who joined the march at various points along its route, the best estimates, based on personnel records and other official documents, put the number killed during the march itself at 2,500 Filipinos and 500 Americans, although those totals are perhaps high by as much as 30 percent. Differing sources also report widely differing prisoner of war casualties prior to reaching Camp O'Donnell: from 5,000 to 18,000 Philipino deaths and 500 to 650 American deaths during the march. Prior to WWII Japan was not an industrial economy but mostly an agrarian economy. Agriculture in the Empire of Japan was an important component of the pre-war Japanese economy. Although Japan had only 16% of its land area under cultivation before the Pacific War, over 45% of households made a living from farming. Japanese cultivated land was mostly dedicated to rice, which accounted for 15% of world rice production in 1937. Their lack of industrial base would limit their logistic capability for their own military throughout the war. The lack of logistical capability (food, shelter, or transport) is what necessitated the Bataan Death March. I once read that of the 110,000 American Marines who stormed the beaches at Iwo Jima the American Economy produced on average about two tons of logistical support for each for use in that Battle. (jeeps, trucks, planes, artillery, tanks, machine guns, mortars, ammunition, uniforms, food etc ). Of the 20,000 defenders on Iwo Jima, the Japanese economy produced logistical support on the order of twenty or thirty pounds. When Imperial Japan conquered the Philippines they did not expect and had not planned for so many Prisoners of War. They did not have the trucks nor railroad capacity to move the POW's to where they could be sheltered. That is the reason for the forced march. It is also the reason for the lack of food and medicine for POW's which resulted in the more lethal deaths after reaching Camp O'Donnell. The reason for the brutality on the march can be explained by several reasons. Japanese Combat Troops would have been ill trained to march POW's. Perhaps a cultural bias against surrendered troops which others have noted. The prisoners had lived in the Jungle for 3 months with little food, little access to fresh water or medicine and thus would have been in poor shape. The heat and humidity in the Philippines during the march along with the lack of food and water made the march worse. A lack of Japanese soldiers to guard such a large number of POW's if they were permitted to spread out on the march too far. Limited food and water on the march itself, necessitating a timely march by the Japanese guards and thus would have been especially motivated to keep up an expedited pace. 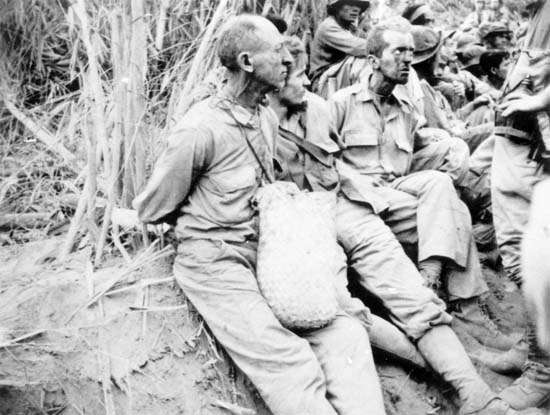 High number of escaping POW's on the march 25% of the men to marched escaped along the way. 19,000 or 25% of the 76,000 men who marched neither made it to the destination, nor were among the dead. Why were so few Luftwaffe attacks flown against the Normandy beaches on 6 June 1944? Why were there so many US military deaths outside of the major battles in WW2?